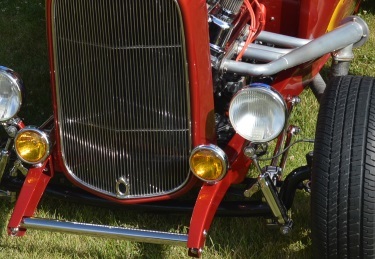 Welcome to the website of the 2019 Fiesta Days Car Show hosted by the Northern Illinois Steet Rod Association (NILSRA). This year we celebrate the 36th Anniversary of this popular event. We are thankful for the many show sponsors, members, former members and supporters of the event as well as all of the automotive enthusiasts who bring their vintage and special interest automobiles to our show each year. Thank you all! Fiesta Days Car Show welcomes all participants with their automobiles and trucks are all sizes, types and makes. Those include street rods, old school hot rods, rat rods, custom, antique, vintage, domestic and imported cars and trucks from all manufacturers. 36th Annual Fiesta Days Car Show: The 2019 Fiesta days Car Show takes place on Sunday July 14th from 9:00 am to 3:30 pm The show is located at Petersen Park, 4300 Peterson Park Road, McHenry, IL 60050. Registration for show participants is from 8:00 to 12:00. General public hours are from 9:00 to 3:00. Particpant judging takes place from 12:00 to 2:00 and trophies for the winners are announced at 3:00. To download a copy of the 2019 Fiesta Days Car Show Event Flyer, please click here: 2019 Fiesta Days Car Show Flyer. To download a copy of the 2019 NILSRA Valve Cover Racing Flyer, please click here: 2019 NILSRA Valve Cover Racing Flyer. ©2019 Northern Illinois Street Rod Association. All Rights Reserved.